Radio  AM/FM/SIREN  Built-in Spotlight/Flashlight  Angle adjustable Halogen Spotlight  said to be 800,000cp  Built-in Circuit Breaker and fuse to Ensure Safe Operation  Diagnostics L.E.D. shows Battery Status  Multi-Voltage D.C. Output  12V/9V/6V/3V  Cord Storage Compartment  Built-in booster cable set in a well protected compartment  Detachable flashlight with ON/OFF/FLASH function  Built-in 12V 17Ah Sealed Lead-Acid rechargeable battery  DC Cord with car plug is included  Mains charger, with UK & Euro adaptor plugs. For Sky-Watcher models with Direct SLR Camera Connection. 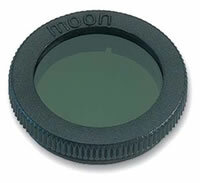 Ideal for lunar observing -reduces the glare and enhances the surface detail. 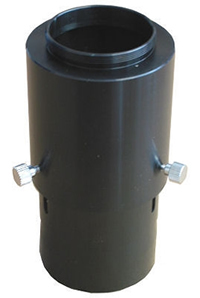 Fits into any normal 1.25" eyepiece. Whether observing fine planetary detail or deep space wonder, whether your telescope is a Newtonian, Refractor or Catadioptric, let the high performance imaging of 'SP-Series' eyepieces unlock its potential ! 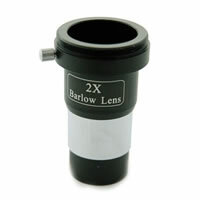 A Barlow is a lens that is placed between the objective lens and the eyepiece of a telescope. 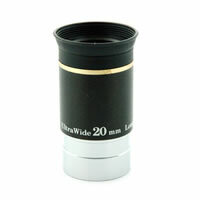 It works by increasing the effective focal length of the objective lens, therefore increasing the magnification. 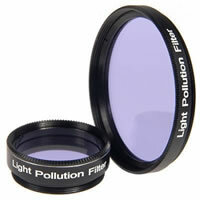 This 1.25" contrast-enhancing anodized aluminium, optical glass filter is designed to block out the wavelengths of light emitted by mercury-vapour light and other common causes of light pollution, whilst providing higher transmission at critical hydrogen-alpha and hydrogen-beta lines than competing filters. Bright, light-polluted skies appear much darker, and the contrast between object and sky is improved significantly. These Sky-Watcher Ultra-Wide Angle, Multi-Coated, Long Eye Relief eyepieces offer a generous 66º apparent field of view, allowing more sky objects to be viewed at one time. They provide sharp images right across the field. Rubber eyepieces are included for viewing comfort and to exclude extraneous light. Multi-Coated, 66º Apparent Field, Focal Length 20mm (18mm Eye Relief).